George W. Bush will become the first U.S. president to be buried at the cemetery in East Austin. President George W. Bush and his wife, Laura Bush, plan to be buried at the Texas State Cemetery, superintendent Harry Bradley said Tuesday. The decision, first reported by the Austin American-Statesman, means Bush will become the first U.S. president to be buried at the cemetery in East Austin. With his close ties to Texas, it’s not surprising Bush would select the state cemetery as his final resting place. Bush, now 70, was born in New Haven, Connecticut, but grew up in Midland and Houston. He was elected governor of Texas in 1994 and served until 2000, when he was elected as president. His presidential library and museum, the Bush Center, is located at Southern Methodist University in Dallas. Bush spokesman Freddy Ford said the couple never wants to leave "the home state they love." "President Bush would just like to point out on thing: this doesn't mean he already has one foot in the grave," Ford said. According to Bradley, the Bushes have had a reservation at the cemetery since 2009. "When he was governor, they were interested in the cemetery, and that's not uncommon," Bradley said. "Most top officials since I've been here – 22 years or longer – are interested in the state cemetery." Former legislators, elected state officials or a person specified by a resolution adopted by the Legislature are among those eligible to be buried in the cemetery. The cemetery is the final resting place of famous Texans including Stephen F. Austin, Gov. John Connally and Lt. Gov. Bob Bullock. "We’re honored to have President Bush and Mrs. Bush," Bradley said. "When they were in office in Austin, they were very supportive of the cemetery." The cemetery was renovated between 1994 and 1997. Bush's decision parts ways from some former presidents' decisions to be buried at their presidential libraries. Every president who has died since John F. Kennedy, except Lyndon B. Johnson, has been buried at the site of their presidential libraries. Johnson was buried at the LBJ ranch in Stonewall. George H.W. 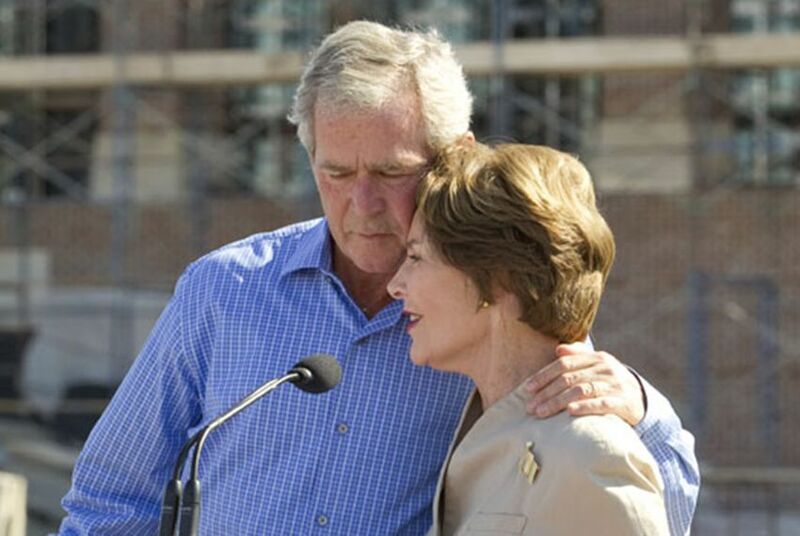 Bush and his wife, Barbara, have decided to be buried at his presidential library at Texas A&M. Disclosure: Texas A&M and SMU have been financial supporters of The Texas Tribune. A complete list of Tribune donors and sponsors can be viewed here.